Hi, Frank Indiviglio here. 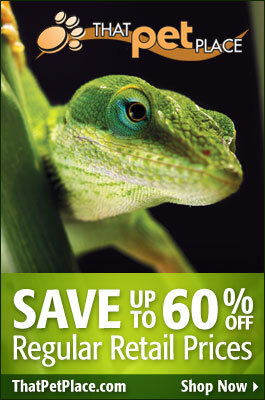 I’m a herpetologist, zoologist and book author, recently retired from a career of over 20 years with the Bronx Zoo. I’ve worked with thousands of tarantulas, in zoos and my own collection, for over 50 years. In all that time, I’ve never been bitten…mainly because I do not handle them! Tarantulas certainly adjust to captivity, but they can in no way be “tamed” or “trusted not to bite”…videos and statements to the contrary should be ignored. Cases involving muscle spasms, chest pain and other severe reactions requiring hospitalizations were reviewed in a recent study – I am aware of similar cases involving colleagues working in the field. The urticating hairs of New World tarantulas are also a consideration; some years ago, a co-worker of mine required corneal surgery to remove those shed by a Red-Kneed Tarantula. In a recent incident reported in the journal Toxicon (an excellent resource for those interested in venom and venomous creatures), a man in Switzerland was bitten on the finger while feeding his pet Indian Ornamental Tarantula, Poecilotheria regalis. He felt little pain at the time, but experienced hot flashes 2 hours later. Within 15 hours, he was hospitalized with muscle spasms and chest pain. He was treated with muscle relaxers, but muscle cramps continued for an additional 3 weeks. Researchers at the Swiss Toxicology Information Center became interested in the case and decided to investigate further. 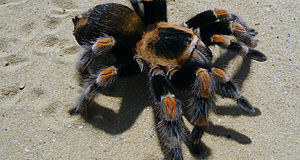 They turned up 18 additional reports of severe reactions to the bite of the Indian Ornamental Tarantula (a/k/a Indian Ornamental Tree Spider) in their organization’s records and reported in medical journals. Spider care websites contained anecdotal information about 18 other bites from the same species. Most of the bites were to pet-owners’ hands, but thighs, cheeks and shoulders were also bitten (I imagine this to be the result of foolishly letting spiders wander about the body). In 58% of the published cases, muscle spasms were suffered by bite victims. Cramps continued for 1-4 weeks after discharge from the hospital. When corresponding with tarantula owners or training zookeepers, I always stress the fact that spider venoms are quite complex, and we that know very little about those of even commonly-kept species. Antivenin is, in most cases, not available. Also, spider venom may evolve in response to the reactions of prey species, as has been shown to occur among many venomous snakes. This may affect how bites should be treated, but specific information is scarce. Venom composition (and, therefore, the necessary treatment) may vary among different populations of the same species…again as occurs in venomous snakes. Individual sensitivities to tarantula venom, another unstudied subject, must also be considered. As numerous species may be sold under the same common name, and exact identification is often difficult, it is critical that you ascertain the Latin names of any tarantula under your care. 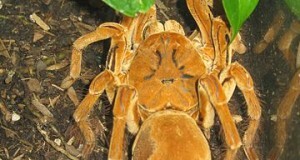 North and Latin American tarantulas shed tiny barbed hairs when agitated. I saw x-ray images of such hairs imbedded in my co-workers eye (please see above). At the time, I was undergoing a cornea transplant (non-spider related! ), and being treated by the same surgeon who had operated on my co-worker. According to the surgeon, tarantula hairs that work their way into the eye are extremely difficult, and in some cases impossible, to safely remove (in 2009, doctors were unable to remove the hairs of Chilean Rose-haired Tarantula from the eye of a victim in England). So please…enjoy observing and studying tarantulas, but do not touch them. Please see the articles linked below for information on how to safely keep and transport these fascinating creatures.